The Llantrisant Sub-Aqua Club has been in existence for more than 50 years and currently has members from all over South Wales and even further afield. We meet every Monday night at the Llantrisant Leisure Centre where we hold our pool training from 7.30pm 'til 8.30pm then after this we meet on Level 3 in the leisure centre for a club meeting, lectures, slide shows, etc. We do most of our UK based diving off the Pembrokeshire Coast in West Wales. We have two club boats comprising two 6.5 metre RIBs which are kept in West Wales. Our list of diving events for the current season is published on the Dive Schedule Page. We are always ready to welcome new members whether they are complete beginners or qualified divers. We offer a comprehensive diver training programme to our members. This includes the attainment of internationally recognised diving qualifications. Our club members are trained by a team of enthusiastic, experienced divers so that they become both competent and safe divers with qualifications that reflect the high standards of both the Sub Aqua Association (SAA) and the World Underwater Federation (CMAS). Details of the prgramme can be found on our Training Page. Refresher training sessions for members who are already qualified divers ensure that good practices are maintained, safety being the paramount consideration. We also offer courses within the SAA structure for members to develop their practical and theoretical skills. Individuals are encouraged to achieve qualifications in oxygen administration, boat handling, VHF radio operation, first aid, diver rescue, underwater photography and many others. As well as being active in the UK we also run trips all over the world to dive in some of the most beautiful and exotic locations on the globe and to experience the wonders of some of the magnificent coral reefs of the world. Locations include; The Red Sea, The Great Barrier Reef, The Maldives, South East Asia, Cocos Island, The Caribbean, Cuba, Florida and East Africa. Some photographs from our various diving trips can be seen in the scrolling image above. If you are already a member of another diving organisation and would like to become a member of our club you would be more than welcome. We can easily cross over any existing qualifications you may have to SAA equivalents. The club was founded in 1960 as the "Underwater Spartans" and is now one of the oldest established sub-aqua clubs in Wales. Training was initially held in an outdoor pool but then moved to Guildford Crescent swimming pool in Cardiff and then finally to the pool at Llantrisant Leisure Centre in Mid. Glamorgan. The club transferred to Tonyrefail for a short period but was relaunched as Llantrisant Sub-Aqua Club in 1982. 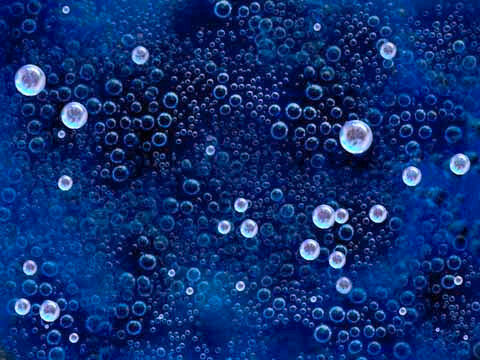 When the club was originally founded it was affiliated to the British Sub-Aqua Club (BSAC) but in 1983 the club left BSAC to become a member of the Sub Aqua Association (SAA), an organization comprised of independent sub-aqua clubs in the UK. Today the club meets regularly every Monday evening at Llantrisant Leisure Centre pool for training and then on level 3 to provide a social dimension. 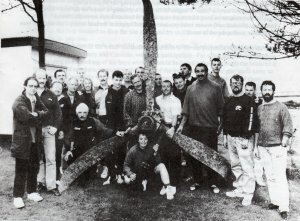 In 1991 Llantrisant Sub-Aqua Club made national news when members of the club found the submerged remains of a WW2 Wellington Bomber. On September 21st 1991 a group of four divers were diving near Marloes Bay off the Pembrokeshire coast when they came across the submerged wreckage of an aeroplane. 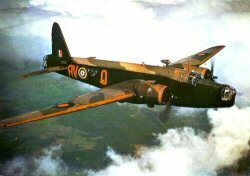 After extensive research, the aircraft was identified as a Wellington Bomber from RAF 304 Squadron which had crashed soon after takeoff during a mission on 3rd August 1942 claiming the lives of all six members of the Polish crew. During subsequent dives, the area was extensively surveyed and searched for further wreckage. The machine guns and propellers were then raised and brought ashore in an operation involving over thirty divers over a series of weekends. They have since been restored to something approaching their original condition. On 15th July 1993 the Polish Sailing Ship Iscra was docked in Newcastle upon Tyne. A ceremony was held aboard involving representatives of the Polish Military and War Veterans Association where one of the propellers and a machine gun were donated to the Polish government. The relics have since been taken to Poland and installed in the Military Museum in Warsaw where a plaque was installed acknowledging the efforts of Llantrisant Sub-Aqua Club in recovering and donating the relics to the Polish people. Today, a propeller and one of the Browning 303 machine guns from the aircraft can be seen in the ATC museum in Abergavenny, South Wales. Copyright © 2002 - Llantrisant Sub-Aqua Club. All rights reserved.